Dial Archive | Dial | Born tough | One Lucky Guitar, Inc.
After more than 50 years in business, American Sportworks has come a long way. They started as a manufacturer of power sport vehicles in 1959. Then they moved into a combination of power sport and utility vehicles. But despite all of the changes and advancements over the years, what sets this brand apart are the things about it that have always stayed the same. While other companies made UTVs for speed and thrills, American Sportworks stayed true to its roots and built practical UTVs for hard work – from the backyard to the back country. Earlier this year, they completed a rebranding effort to better reflect their current focus. 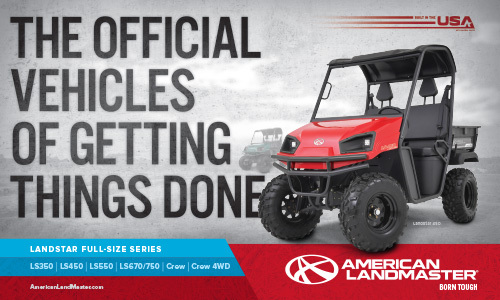 They decided to rename their brand American LandMaster to pay homage to the landowners who buy their UTVs. And when they came to us for help crafting a refined brand with a focused mission, we could think of no better place to start than the underlying values that unite LandMaster owners with the vehicles they trust. 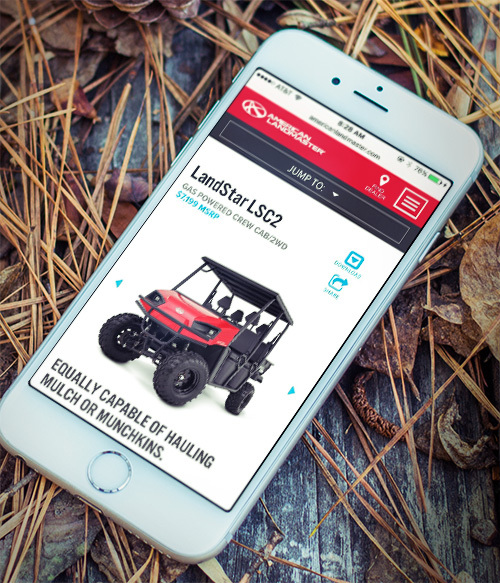 These guys and gals take on everything from landscaping to farming and hunting, from sunup to sundown, and they need UTVs that work just as hard as they do. So we sent a team to the LandMaster plant in Roseland, LA, to see the new lineup of UTVs at work, and we came away with one overwhelming impression. LandMaster vehicles – and the people who build and buy them – are “Born Tough.” Grit and determination is in their blood, and they keep working until the job is done. While other companies are building UTVs for thrill-seekers, American LandMaster has done just the opposite. And in the process, they’ve preserved the original purpose of a “utility” vehicle: reliable hard work.